See You at Gamescom 2016! Visiting the world’s largest video gaming convention? Come say hi! From Wednesday, August 17, until Sunday, August 21, we will be at gamescom 2016! Gamescom is the world’s largest video gaming convention, taking place this week in Cologne, Germany. 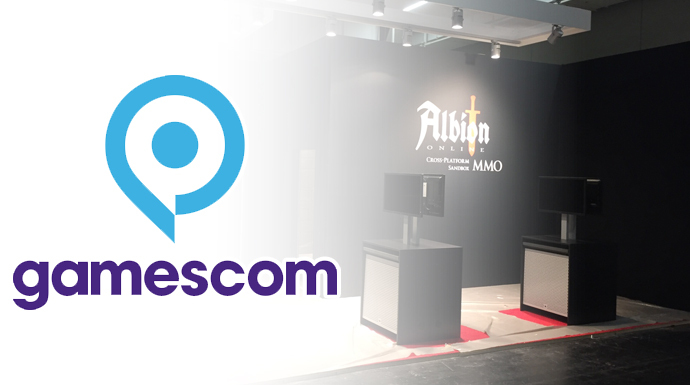 We are primarily at gamescom to help further develop Albion Online, which is why the main Sandbox Interactive booth will be in the business area, in Hall 4.1 (booth A-027), only available for trade visitors. Not a trade visitor? No problem, we’re in the entertainment area as well! Meet some of our Game Developers at the Unity Indie Arena booth in Hall 10.1, and say hi to the Community Managers at the ‘gamescom jobs & careers’ Hall 10.2 (booth D-030G). We are all looking forward to see you, so don’t be shy!